izzit.org News: Current Events - Now FREE! As of today our daily Current Events articles and discussion questions are now FREE to all registered izzit.org members! For the past year we have charged $3.00 per year for access, but due to feedback from teachers and our desire to provide this useful resource to as many teachers and students as possible, we've decided to open it back up for free. All current izzit.org members who have a free account or a Current Events account have been sent an email explaining this change in more detail. You can access the daily Current Events by going to the "Current Events Lessons" section of our website. Note: you must be logged-in to view them. On that page and on your "My Account" / "Edit Account" page you can also choose to receive daily emails with a summary of the day's articles. 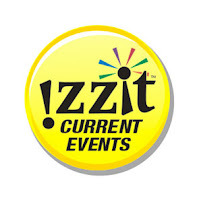 If you have any questions about Current Events, please feel free to contact us at currentevents@izzit.org. We also still do offer the izzitPLUS membership for $9.95 per year which, along with the ability to order a new DVD every 30 days after leaving feedback and other benefits, includes access to the "Student Zone" where your students can get online to view the Current Events. We hope you all enjoy using the daily Current Events in your classroom!